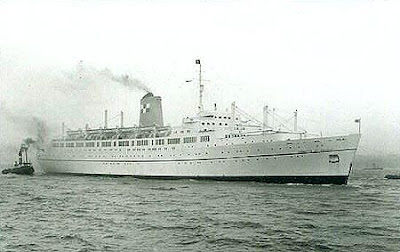 Seen here in July of 1996 at Piraeus is the beautiful S.S. "OLYMPIC", this famous ocean liner of the fifties was built in Scotland by FAIRFIELD SHIPBUILDING in 1956 to be operated by CANADIAN PACIFIC STEAMSHIP as the EMPRESS OF BRITAIN on the Liverpool to Montreal service. 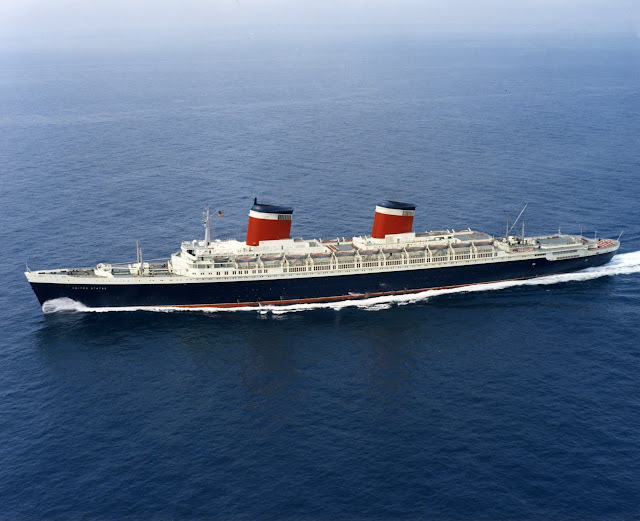 She was propelled by steam turbines with a cruising speed of 20 knots, she was 25.516 GRT. 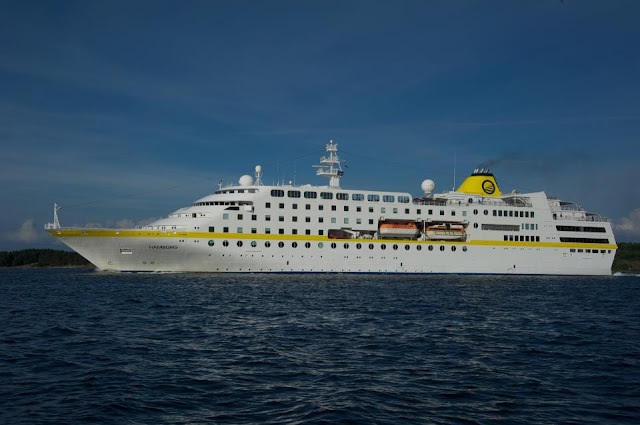 "OLYMPIC" sailed for EPIRITOKI LINES between 1995 and 1997, she was scrapped at Alang in 2008 as "THE TOPAZ". 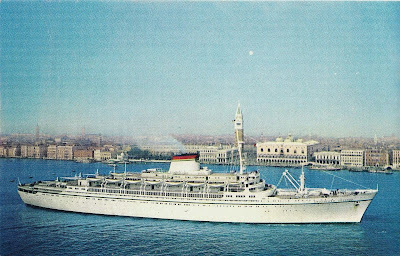 Postcard below of the EMPRESS OF BRITAIN from my private collection.